Will Cris "Cyborg" Justino (16-1, 1NC) finally take home the UFC gold or will Tonya "Triple Threat" Evinger (19-5) pull the upset? Two pioneers of women's MMA will throw down tonight for the UFC women's featherweight title! 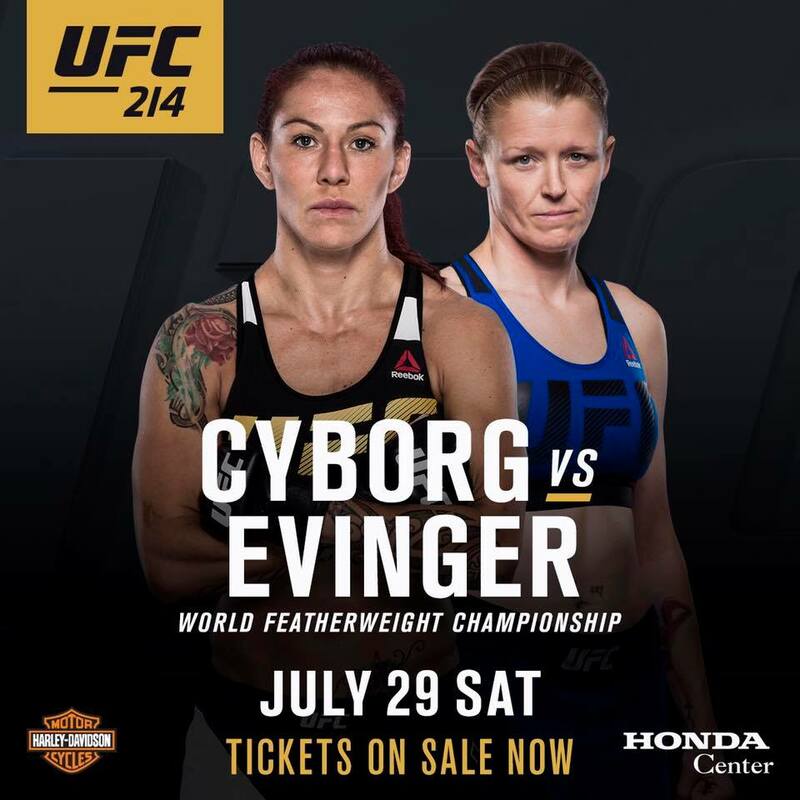 Catch all the action live at UFC 214 from the Honda Center in Anaheim, California or live on PPV starting at 10 PM ET. Photo courtesy of the UFC.